Note: My family was invited to attend the New Year’s Eve celebration at the Washington DC-area Medieval Times and I wanted to share my excitement in case a few of my local friends could join in the NYE family fun with us. Although tickets to the show were provided, all thoughts and opinions are my own. Christmas is over, and now our sights are set on cleaning up the house our family New Year’s Eve celebrations. I was beyond excited to find out about the special New Year’s Eve Extravaganza at Medieval Times. 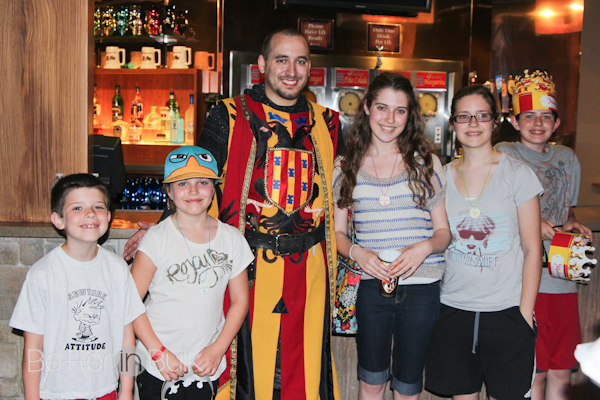 We took the entire family to Medieval Times (just outside of DC in Hanover, MD) last May and had an unbelievable blast. I was shocked at how thoroughly entertained ALL of my kids were (plus myself, my husband, and my mother in law). That’s 3 generations of fun and entertainment! The New Year’s Eve Extravaganza Show is on December 31, 2013 at 3:30 and is perfect for families. It’s the perfect way to ring in the New Year with the whole family (even if you’re planning on leaving the kids with a babysitter while you head to a party at night). What’s special about the New Year’s Eve show? There will be FREE Knights Training (limited space available first come first serve), FREE Face Painting, FREE Balloon animals and a FREE activity book for every child. And that’s in addition to the typical Medieval Times amazingness of a 2 hour live tournament/show and delicious 4 course meal. Prices will be $35.95 for adults and $29.95 for children 12 and under with discount code 35NYE. What is Knight’s Training? Knights Training is a chance for the kids to go down into the Arena and learn about what it takes to be a knight, chivalry, and sword fighting moves! At the conclusion of the training all children are knighted as Honorary Knights of the realm! Typically Knight training is ONLY available during spring break so this is a chance to get in before the rush! If you’re not in the Baltimore/Washington DC area, check the Medieval Times website to see if there’s a location near you. 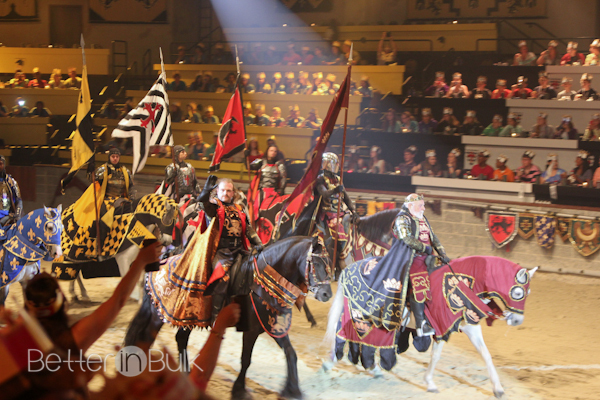 If you’ve never been to Medieval Times, I promise that it’s an adventure that every family will enjoy! What a fun show to attend! I’ve never been before but would love to go! How exciting! would love to go there, my son would have a blast. If my son was old enough I bet he would get a kick out of that! !